Barclay-Rex, a downtown Manhattan tobacconist, was founded in 1910 by Vincent Nastri, a pipemaker from Salerno, Italy. The store was originally located at Barclay and Church Street, and the name was taken from that location and Nastri's beloved Great Dane, Rex. The business is still run by Vincent Nastri, III and owned by Vincent Nastri, Jr.. They have several locations in New York City. The store has carried pipes from all fine makers, and the Barclay-Rex line of pipes is also much sought after, in that pipes were made in a range from the very inexpensive into the several hundreds of dollars. The pipes were, at least into the 1960's, made of Algerian briar. 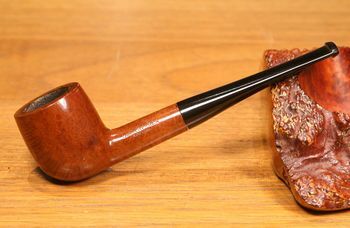 In addition to pipes made by Mr. Nastri over the years, Mr. Nastri, III, has been quoted as stating that a pipemaker just leaving Dunhill made pipes with a small off-white dot on the stem for a time for the shop. As was discovered by Steve Laug of Reborn Pipes, they were evidently made by a pipemaker whose initials were HGP, and stamped on the pipe as such. These pipes were made for a single run only, and then never made again. 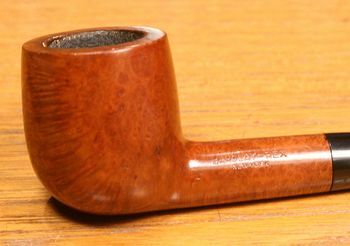 In addition, Sasieni at least for a time made private label pipes stamped with the Barclay-Rex name, but with their own shapes and shape numbers.